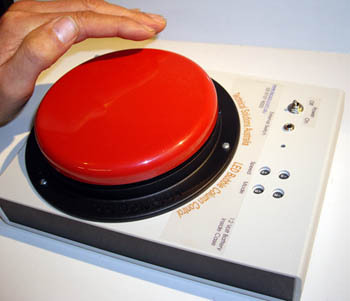 The Big Red switch has a large, colorful surface, tough enough to stand up to years of vigorous use. Switch top can be removed and replaced with the color of your choice: Red, Blue, Yellow, or Green. Includes a clear snap cap for symbol use.